I got to sit in on Jaz’s piano lesson this evening. The three older kids all take music lessons in the same music school. 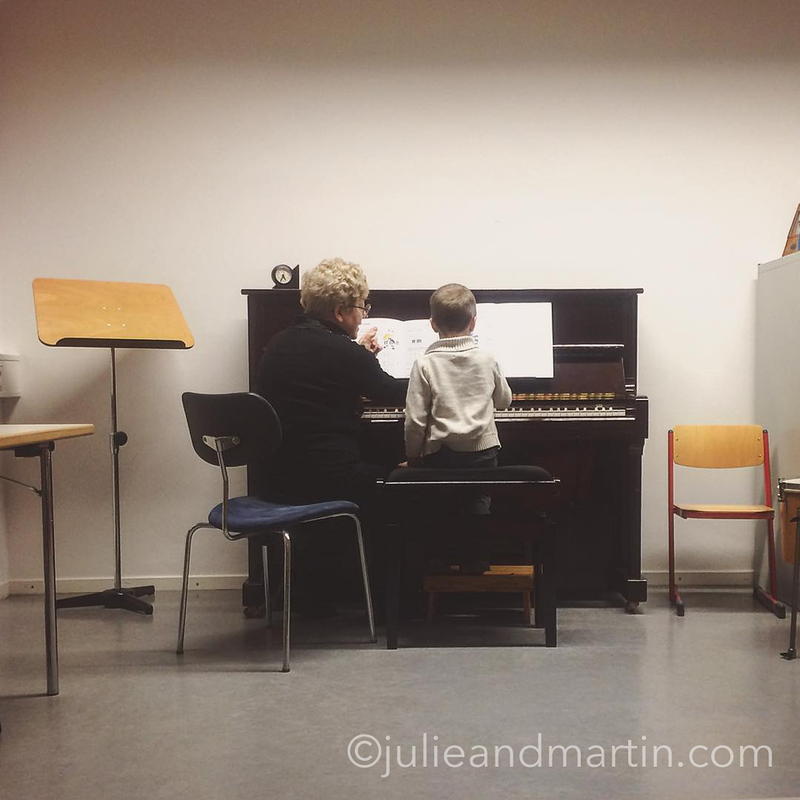 This was the first time I was able to attend one of his classes, and meet his piano teacher. She was so patient and kind with him. He was initially interested in the drum set in the room, and she went with it, explaining to him percussion and its role in music. Once they were He was so focused and eager to show her what he practiced. The way she explained where to place his hands, and counted out time for him … it took me back to when I was learning how to play the piano, too. Great memories! I’m so thankful we’re able to provide music lessons for these kiddos.